Sometimes, titles can be deceiving. It’s the case with this book. I thought it would be filled with short biographies of famous Venetians and, in a way, it is. But it is so much more than that. It is a history of Venice and its empire, from its ascendancy in the 13th century to its demise in 1797, told through the actions of the famous people who made its history. And not all of them are Venetians. Some, like Galileo Galilei and Francesco Petrarca were born abroad but, during their lifetime, spent long periods in Venice, where they managed to leave an impressive, and sometimes infamous, mark. Some were artists, like Vivaldi and Titian, who often had to go and look for work abroad. Some were generals, such as Lamba Doria and Niccolò Pisani, who led important naval battles with either successful or disastrous outcomes. Some, like Marco Polo, were merchants and explorers who helped, with their initiatives and enterprises, to make the city flourish into a powerful empire, while others, like Casanova, who witnessed its decline, are better remembered for their amorous conquests. Other figures are still very little known. It’s the case of Caterina Cornaro, the tragic Venetian Queen of Cyprus, and Francesco Lupazzoli, who lived 115 years during which he married five times and fathered more than 100 children (many of which were illegitimate, though). Sections of the books are also dedicated to particular categories of people, like women and Jews, which, although relegated in the ghetto, played a very important part in the success of the empire. In the background, Venice shines. The book is very well-written and flows easily. It’s informative yet entertaining, and very readable. 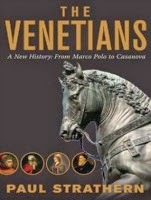 I highly recommend it to anyone interested in the history of Venice and its people. This is another book with a somewhat misleading title. Rather than a book of instructions, it is more of a biography with some few added tips on how to manage your money. In the ’80s Jim Stovall and his wife had 6-figures’ worth of debt. Not being able to pay for a loaf of bread at the supermarket gave him the push he needed to turn his life around and now he’s worth over $10mil. He definitely knows what he’s talking about. And that’s one of his tips. If you want to know how to manage your money, make more or simply get out of debt, you need to ask someone who’s been there and done that. It seems such obvious advice, and yet most people don’t follow it. The Millionaire Map doesn’t provide you with a map of instructions to follow. That’s because every person has their own map and their own journey. What the book does is give you the right mindset to accomplish your goals. Stovall debunks some myths about millionaires, who aren’t all evil ogres nor showoffs who waste everything they have on expensive stuff they don’t need, but mostly generous folks who focus on creating products that solve problems and produce value. Millionaires make a difference in people’s lives. That’s the key to success. Also, being a millionaire to Stovall doesn’t mean to have a lot of money in the bank, but to have the freedom to do what you want to do with your life without money being a limiting factor. The book also offers some advice on how to develop the right habits to succeed in your endeavors and how to manage your money so that you’ll never find yourself in debt again. None of it is revolutionary or groundbreaking, yet, put it all together in one book, it makes for an inspirational and encouraging read. If you’re happy with your life, this book will be useless to you. But if you’re longing for a different life that you feel it is out of your reach, I highly encourage you to read it. It will make you realise that your dreams aren’t impossible and give you the tools to make the first steps in the right direction. Ah, finance. We all know it is to blame for the economic crisis that has hit us all in 2007, but very few know how exactly. I picked up this book in the hope of getting a better understanding just on that. Unfortunately, the first half of the book turned out to be quite complicated for someone who has only a basic knowledge of economic and financial matters, making this book more suitable for experts than the general public at large. Still, with a bit of patience, you can make sense of it. 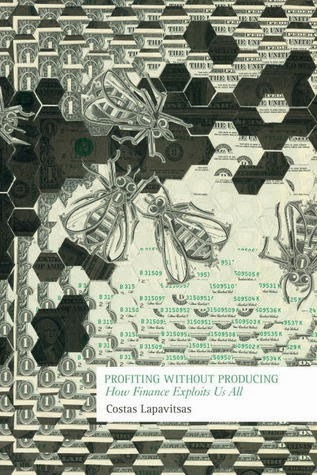 Stovall discusses the definition of finance and its rise, explains what derivatives are and examines different economic theories as well as the different ways banks and other financialized institutions make money and exploit people. The second half of the book, which is much easier to understand for everyone, though, is about the causes of the current economic crisis and the way in which different countries have reacted to it. Particular attention is dedicated to Europe and the limits of both the European Union and the euro to explain just why the old continent seems unable to recover from the crisis, while other countries, like the US, are slowly getting back on their feet. While I found the book an interesting read that provides some food for thought, it is important to note that the author provides a Marxist interpretation of the current economic crisis. Because of this, he has a too simplistic and populistic view of financialization and capitalism. I would have liked a more unbiased analysis of the phenomenon because, while it is undeniable that there are lots of problems with financialization that need to be addressed, finance is not all bad and understanding how it works can give us a better understanding of capitalism. If you’re interested in a more in-depth review of this book, check out Tony Norfield’s at Economics of Imperialism. Have you read these books or would like to?